It was just a few days ago that doomsday theorists said it was the end of the world! never happened! Another non event was the Green Party who tried to convince us this year that 'Jack Frost' was going to become 'Jack the puddle' and that also never happened! its been a year where so called major predictions have gone hopelessly askew. My bloom season for 2012 was the same as many New Zealand growers reported, it came early and all at once making the garden very surreal. At home we had Siberian Irises flowering with Standard dwarfs, the reliable strong Nor-westerly winds came and went and about half the Irises did not bloom at all, so all and all a interesting bloom season. Now before the climate change wonks say this is proof of their dribble, they should read any Iris Journal from the past and they will find published within are a multitude of reports that show the weather has its own mind and most likely always will. 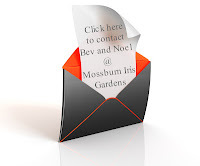 Some have immediately attributed 'Climate Change' to recent statements 'No Blooms for the Iris Show this year', my thoughts are that it has very little to do with a change in the weather but more to do with a change with the show date. History shows us that show dates year on year can and have changed by as many as 10 days either side of the previous year's date which has a far bigger impact on the amount of blooms for the show bench but always seems to be overlooked. Oh and today, Bee Warburtons 'Reprise' has decided to start blooming again, Bob Hollingworth's 'Shall We Dance' has not stopped blooming since it started 2 months ago, and looks like it will be around for Christmas Day, Terry Aitken's 'Double your Fun' has started to bloom today for the first time this season, it's an intermediate that is registered a re-bloomer but I think it's just a straggler. Change is so swift in the digital world that Smartphones and Tablets are changing the way we use the internet and web masters need to make it a priority to view the way their web site display's on the smaller screens as within a year these little power packed wonders will be the major player in the world of digital media, web masters who ignore this rapidly advancing change will be rewarded by decreased visitors to their website. While I am on the subject of digital media let me say the AIS E-membership is not what it is cracked up to be. I am a E-member so I can access the iris register database (the real one). The fee last year jumped from $10.00 to $15.00 and for the 50% jump in fees I get access in advance of the printed Bulletin as a PDF file and help fund the Twiki thing. The bulletin in Portable Document Format (PDF) is a huge data file, takes for ever to download cannot be printed or saved so every time you visit cost more megabits which I have to pay to the phone company, adding to this, once the bulletin is released in the digital format it is then parroted via the AIS Book face thingy and AIS World of Iris blog, parts of the featured articles are discussed on various Iris forums, and all this before my printed copy (which I have to pay for as a separate membership) arrives in the mail. By the time I get to read the printed bulletin half the publication has articles that have already been part published on the AIS Book face thingy and includes some expanded articles that were originally posted on the AIS World Of Irises Blog. Hey some people may like this new way of doing things but for me it devalues the Bulletin which is after all the AIS premium publication and this repetitive media strategy is getting a lot like listening to a Wagner opera, you know, where the lead character first tells you what he’s going to say, and then he says it, and then he tells you what he just said. Also it was a year with some people getting sniffy about this blog expressing my opinions on the inaccuracy of the Iris Encyclopedia. Am I opposed to a web site undermining the considerable credibility that we associate with the Checklists? Yes I am, but why should I have to shut up about that? Who says any faction of a Society should be able to step over me and say 'shut up, you're not allowed to open your mouth on that'. I am been seen by some to be doing something wrong by pointing out mistakes that are been published on the internet as facts.........huh? However this is the real point....... Censorship is undesirable and a threat to liberty. We should always think long and hard before bowing to the ever present wowser elements in our society who would wish to align the limits of our liberty to their own tastes. You either believe in freedom of speech, or you do not. 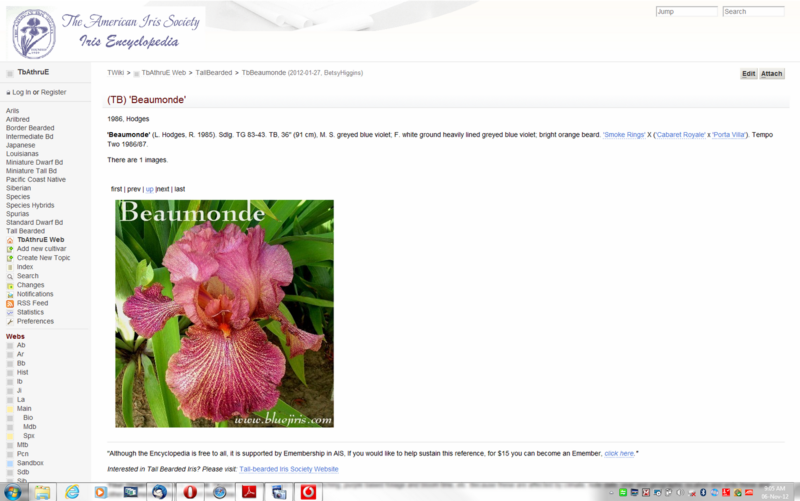 BEST IRIS PUBLICATION Bulletin or Journal for 2012 (That I receive, and I receive a few) goes to The Historic Iris Society online magazine 'Flags'. It's well set out, can be downloaded, great photos, and its free to everyone who visits the web site. After a trying year for the editor with back problems and surgery the publication still came out for the Fall. If there is one small criticism from me its the need to publish other points of view in regards to various issues but I am sure it will go on to even better and brighter things in the future. I DON'T THINK SO AWARD 2012 goes to the Iris Encyclopedia now often referred to as 'Bob's Bloopers' . It wins the award for putting the wrong photos against a check list description and I think my post 'Tall bearded Iris Beaumonde' covered problem well, but from all reports these problems have not gone away. Anyway Merry Christmas to all 'Heirtage Irises' readers, thanks to the comment makers, thanks to all the Worlds Iris Hybridisers both past and present for whom I have the utmost respect, to the contributors of Photos, and also to the International commentators, thank you all for a really great year . All the Very best for 2013 and may your New Year be full of family, Irises, laughter and love. 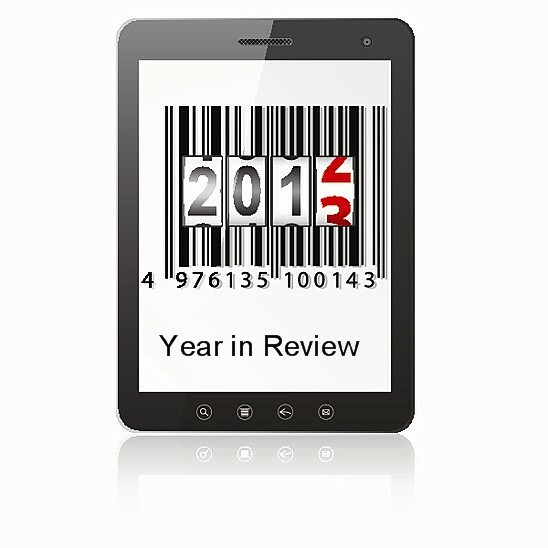 See you mid January and thanks for 2012. 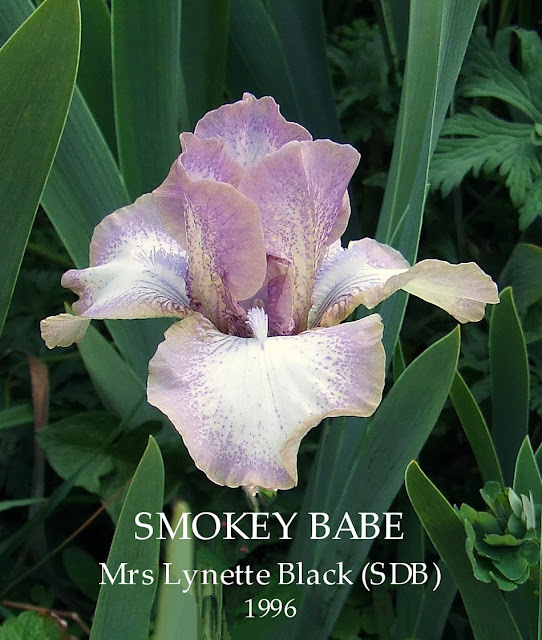 An explanation, 'Heritage Irises' is a record some of the irises growing at my Home, features photos of 'New Zealand Bred Irises' and also the blog at times features new introductions of Irises from International Breeders. 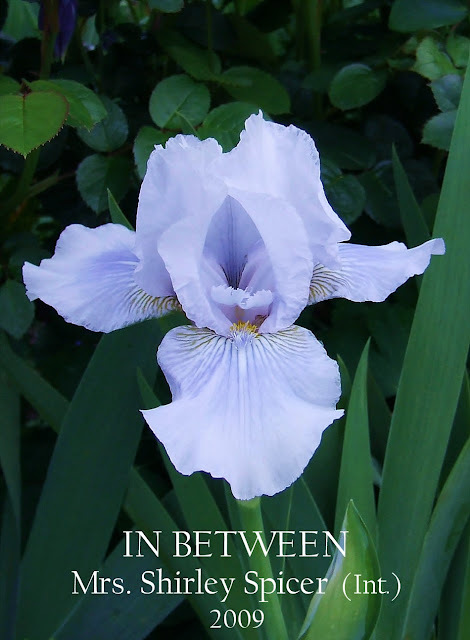 As opposed to a Bulletin, Journal,or Year Books, 'Heritage Irises' is more of a personal diary with a minimum amount of interactivity. A breeding combination of Jean Stevens 'Brilliant Sunrise' and Schreiner's 'Taste of Honey'. 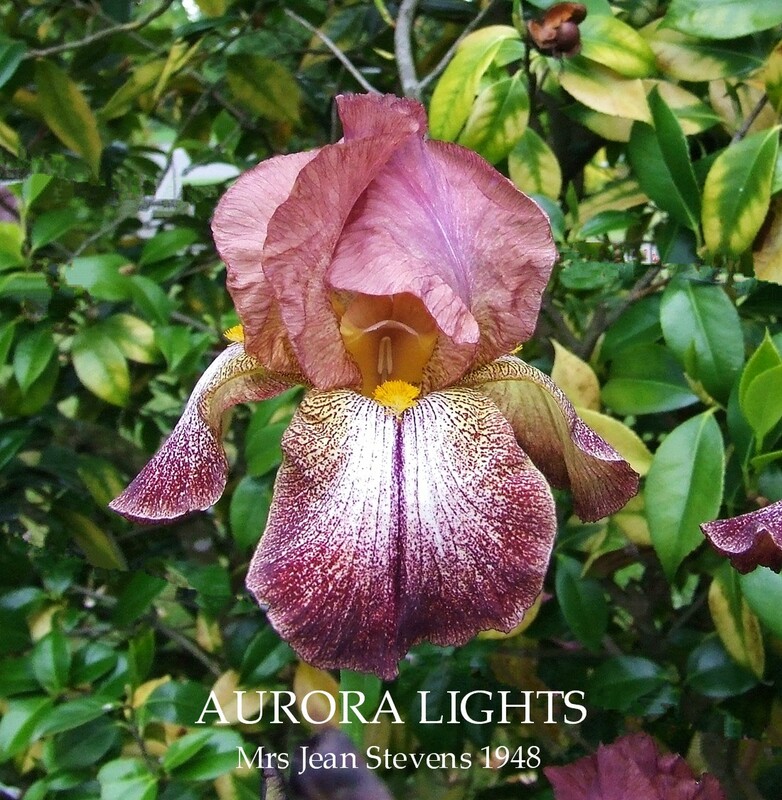 This very impressive New Zealand bred iris by Jean Collins is one of the best ever of the classic variegata type, possessing an amazing glow which gives carrying power to the flower and on first viewing has the gardener's mind planning the special place in their garden where this iris will feature. Standards are a smooth rich gold contrasted by the bold red-brown falls bordered a rich gold which in turn has the faintest red-brown outline. The rich gold striations radiating from the hafts lead the eyes towards the deeper gold beards. Silky texture, outstanding form and substance. Slight fragrance. A stunning have to have!! BayBloom Nurseries, Cambridge Road, R.D.1 Tauranga. Spring and Summer Catalogue, 1996. ALISON PENNEY. What a bright show this variety creates. Gold standards, red brown falls, bordered gold. Does well in mild climates. ALISON PENNEY Mrs Jean Collins, Reg., 1979. Sdlg. 579/1. TB, 35″, (89 cm), M. S. gold; F. red-brown, bordered gold; yellow beard. Brilliant Sunrise X Taste of Honey. 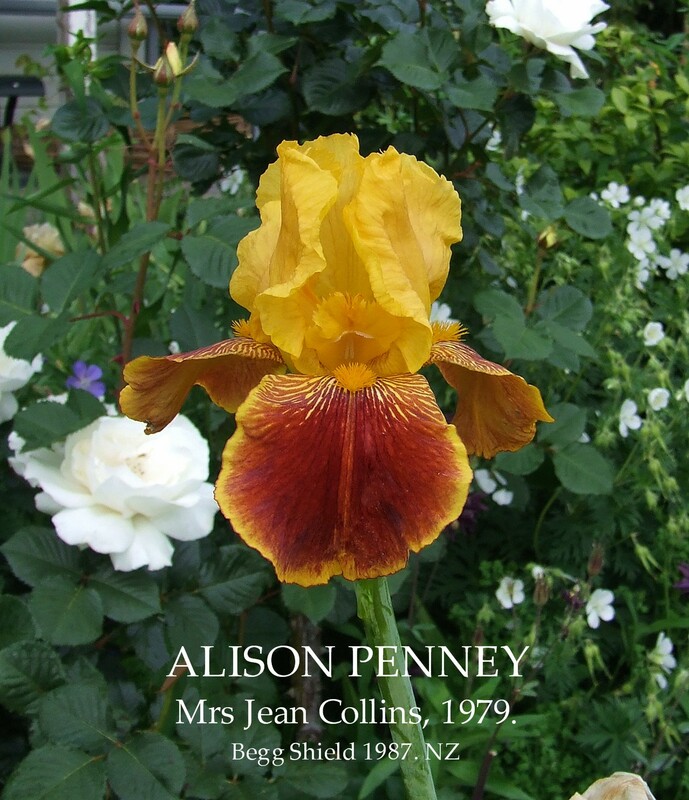 J. Collins Iris Garden 1978/79. Begg Shield 1987 (NZ). Only available in New Zealand from The Iris Boutique this season. Through the Looking-Glass and What Alice Found There, Lewis Carroll, 1872. Well yes indeed the time has come to talk of 'Cabbages and Kings'.Strong purple blush in the heart of the standards reminds me a lot of 'Freedom Road' (Gordon Plough,1976), colour placement, frills, ruffles and crimping all taking direction from the Keppel genes. Strangely elegant pastel colour's have that 'painted in watercolours' effect. Standards have a tendency to open uneven which is at odds with the Falls more "finished" form. Large blooms on strong stalks with good bud count giving the plant a good length of bloom (much longer for me than just the mid season as noted in it's registration). Good plant health and reasonable increase. Will transfer this iris among the darker black and purple toned irises to display in a different landscape to see if it 'grows' on me a little more than it's done to date. It's certainly an iris that grabs your interest! 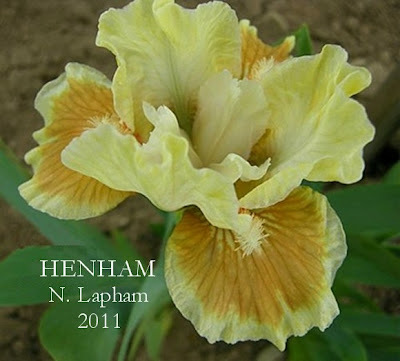 This lovely frilled and crimped lemon has an unusual purple blush in the heart of the standards. A sweet fragrance is a bonus. 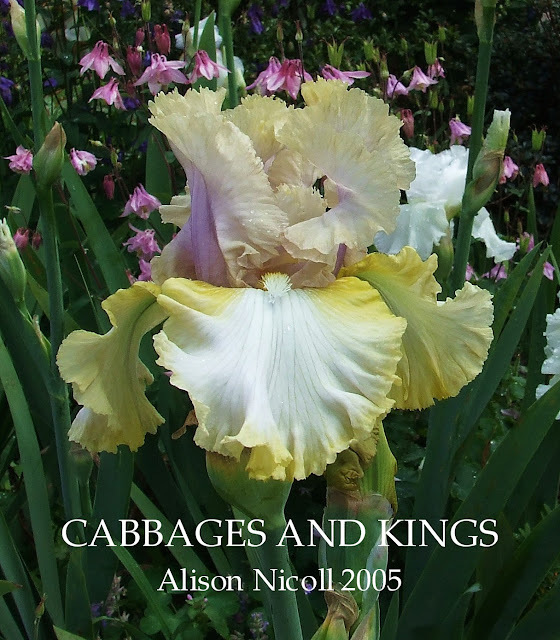 CABBAGES AND KINGS Alison Nicoll, Reg., 2005 Sdlg A01T5: 3. TB, 32″, (82 cm), M. Standards purple blush in centre merging to lemon at edges; style arms lemon; Falls lemon edges merging to cream centre, more intense lemon at hafts; beards lemon tipped white, gold in throat; frilled and crimped; pronounced sweet fragrance. (Knock ‘em Dead x Keppel seed, LLFBKK: 2: (Lotus Land x Fogbound)). Richmond Iris Gardens 2006/07. "Lines" have come more to the fore recently as a new (or revised) pattern option and 'Irwell Courage' is a great example of how Ron Busch had brilliantly come to grips with this intriguing style. Tall strong stems with good branching hold well proportioned blooms with gentle honey standards that show some darker erratic virus flecking, violet orchid midribs, falls are wide in a handsome mulberry plum colour broadly edged in a softer tone, coupled with strong white striations (lines) on the upper fall which is all set off nicely with the golden bronze beard. 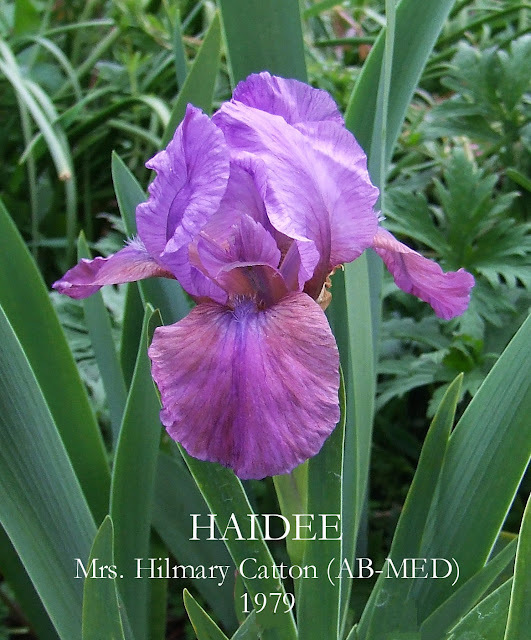 Great bud count resulting in a excellent amount of bloom that is paced well over a long season, bracts have a gentle purple tone. Clean foliage with the added purple-based touch, plant shows strong increase. People visiting the gardens just gravitate towards it, it's a very masculine flower. One of the good thing that happens when the Tall Bearded iris season nearly comes to the end, is the start of the Spuria Irises season . This is one of my favourites spurias out of my very limited collection, it has amazing large blooms that have an incredibly long vase life that make the similar looking Dutch Irises look like poor little tryhards. Length of bloom stems are a florists delight. 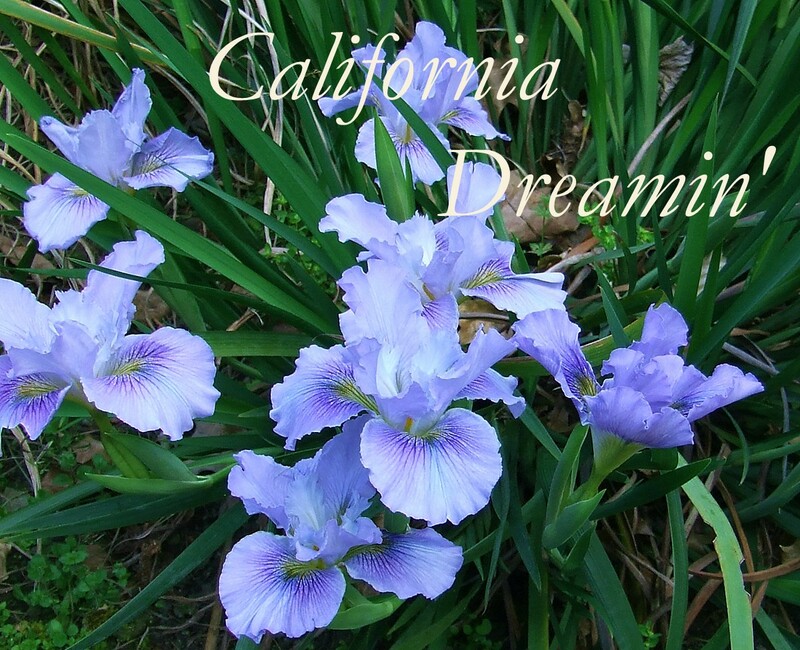 Spuria Iris bloom stalks range in height from 100cm to 150cm (3 to 5 feet) tall. They are usually planted at the back of the border or along the fence, however due to the tight-clumping, nature, they are ideal as vertical accents anywhere in your garden. First year plants will be much shorter than established ones. Since hot temperatures are required for good bloom, plant in full sun, being sure there is good drainage. Planting depth depends on type of soil- 2.5 cm (1 inch) and heavy soil and 5 cm (2 inches) in light sandy soils. Space far enough apart to grow in the same location for several years. You must keep them watered until they start to grow. Once established, Spuria's are drought resistant, however heavy irrigation in the spring will increase growth in bloom. 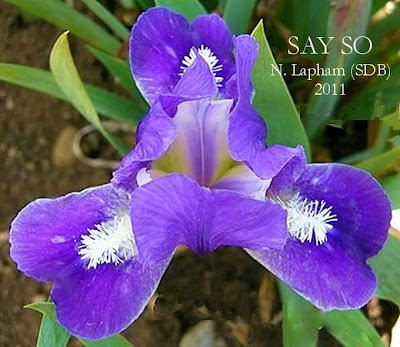 Barry Blyth told me the other day in a communication regarding spuria irises "Spurias I could not sell, hence we no longer catalogue them, as lovely as they are. People just do not know what they are". (Now ain't that a real shame). I will post a couple more varieties that I grow in the next week or so. Cordon Bleu Farms, San Marcos, California. 1984 Catalog. 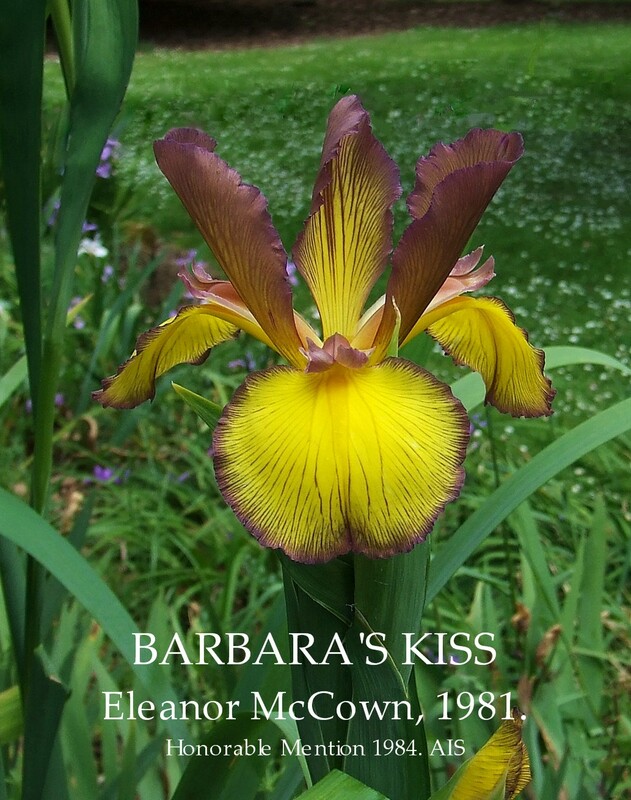 BARBARA'S KISS (McCown, 1982) A unique colour combination with standards of light burgundy mauve and moderate orange yellow falls bordered light burgundy mauve. BARBARA'S KISS (E. McCown, R. 1981) Sdlg. 75-15. SPU, 54" (137 cm), M Standards violet (RHC 1 Opb 4/10) lightly streaked pale yellow; Fall strong violet bordering orange yellow signal, veined brownish purple; ruffled. Arbitrator X Imperial Beauty. Cordon Bleu 1982. HM 1984. Note how different the colour tones are described in the Cordon Bleu Catalog when compared with the AIS checklist. 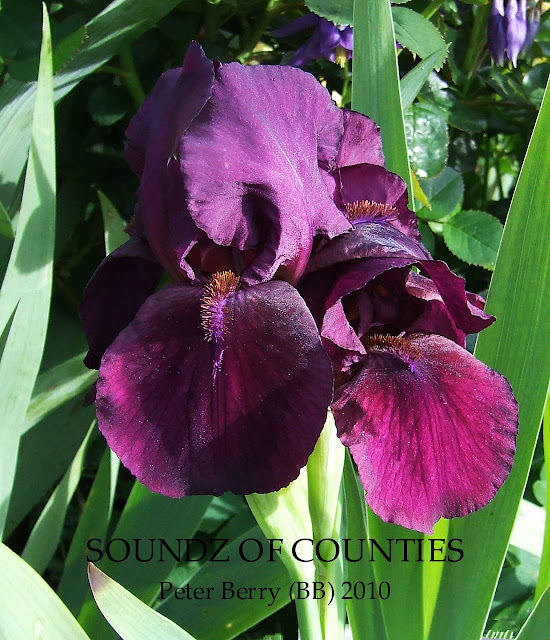 There are no commercial sellers of Spuria Irises in New Zealand but there should be!! Courtesy 'THE GARDEN', 30th June, 1900. The Garden, New and Rare Plants, June 23, 1900. This is certainly one of the most distinct of the german or Flag Irises. We welcome it heartily as a good variety for woodland and border. 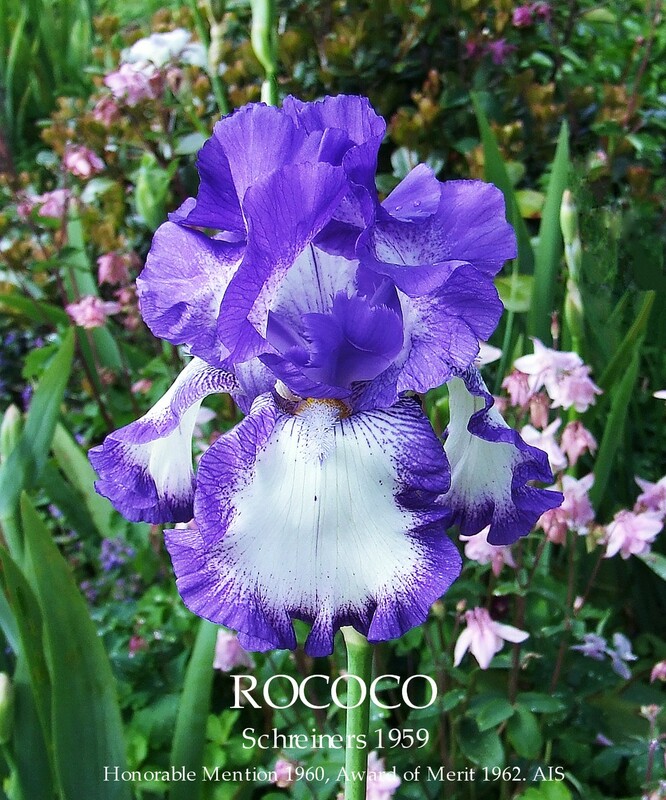 The flowers are large, fragrant, and handsome in colour, with light purple standards and deep velvety falls, the broad rich yellow marking running into the depth of the flower relieved the other shades. Shown by Mr. Amos Perry, Winchmore Hill, London. Award of Merit. Royal Horticultural Society, June 19. This is certainly one of the most distinct of the German Iris. We welcome it heartily as a good variety, the flowers are large and fragrant and handsome in colour. One of the most handsome we have ever seen in this class, the falls being a rich purple almost black, with light purple standards. A profuse bloomer. When we saw this wonderful dark blue we said, well------- dollars as a lot to pay for an Iris root. But this one is certainly a beauty. American public look out for this one at Bronx Park, New York. Quite distinct, the flowers of sweet fragrance and boldly coloured. The Standards in This Group Range from Lavender to Purple. Black Prince. Standards intense deep violet-blue; Falls, velvety purple, edged lighter. Very beautiful. Stock rare. The Gardeners Chronicle, May 28th, 1921. 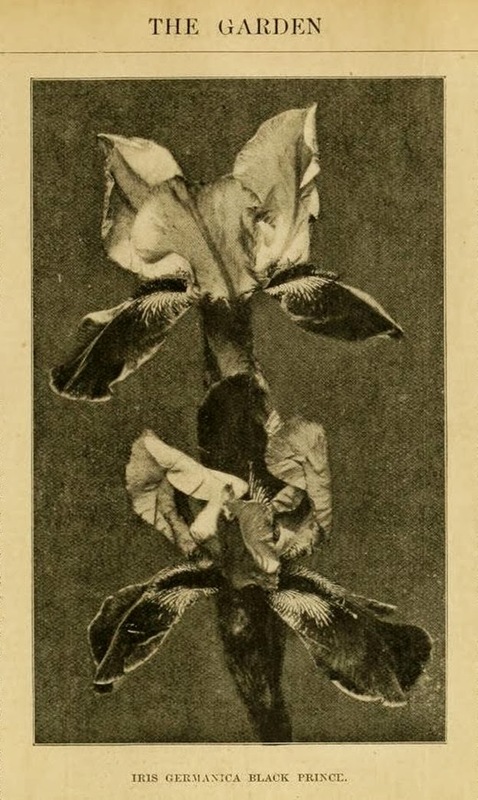 Irises of the Future, W. R. Dykes. At the other end of the season something might be done towards prolonging it by using the late flowering 'Black Prince'. Seedlings of this tend to retain the late flowering habit, and there is a large dose of I.variegata blood in 'Black Prince', forms with yellow standards are sure to appear among them. It remains for the hybridiser to get rid of the stunted stem, the crowded inflorescence, and the ugly form of the flowers, with their erect, widely separated standards. Black Prince, one of the best, the latest to open and the deepest of all in colour; purple-blue, deep blackish purple with white markings at the throat. 2½ ft. 1/6 each. AIS Bulletin No.6, 1922. Description of Varieties, Part I.
stalk very short branched; growth weak; to 30 in. Details. Beard short, yellow orange; haft white, closely reticulated. Remarks. A. M. R. H.S. Listed in America under the name of 'Black Knight', should not be confused with the form of germanica often listed under this name. Black Prince, A.M.R.H.S.- Deepest of all in colour. Standards purplish blue. Falls deep blackish purple with white markings at the throat. Not a good doer. Very Late - 2 ft. 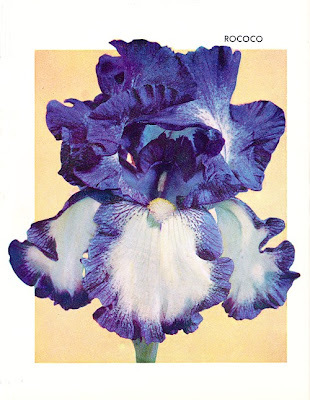 Above is the correct image of Amos Perry's 'Black Prince' published in 'The Garden' 30th June, 1900 and is referred to in the 1939 Checklist .This photo also clearly shows why W.R. Dykes described 'Black Prince' as an iris with crowded inflorescence, flowers of an ugly form, with erect, widely separated standards, he also mentioned that it was short, with stunted stem. 'Black Prince' was also reported by others as a slow grower, flowers with a distinct contrast between the standards and the falls and a very distinct light margin on the falls which the photo shows the later two descriptions well. Phil Edinger stated in an recent email to me "everything circulating in the US as 'Black Prince' is 'Othello'." I originally used photos on this post which with the help of some research I recently completed proved the iris used to be totally wrong. The images were of the variety 'Othello'. This having to adjust ID's of Historic Irises I am sure will happen more and more as the coming deluge of old publications are digitized, which in turn will open up a treasure trove of history helping to confirm beyond doubt that we got it right, or in my case confirm that I got it wrong. I thought it was time for an update for the post 'Irwell Gold Strike' with a new photo and a few additional encouraging words. This iris just will not and has not stopped blooming this season and I think a note should be made to its registered bloom season to change from Mid to Mid to Late. Large blooms on solid as iron rod stalks that more than help make a bold and brilliant garden statement, plant habits that never fail to impress with good clean foliage and great increase. 'Irwell Gold Strike' was the stand out iris and the winner of the 'Begg Sheild' at the Lake Tekapo Iris Conference 2005. Described by Ron as "Cream standards faintly overlaid with yellow stippling, falls are amber gold. It has a gold beard with striations of cream and tan at the hafts. Standards are wide and flaring and shows good branching and bud count." Will make a spectacle in anyone's garden, and being pollen fertile, makes it a more than interesting parent. 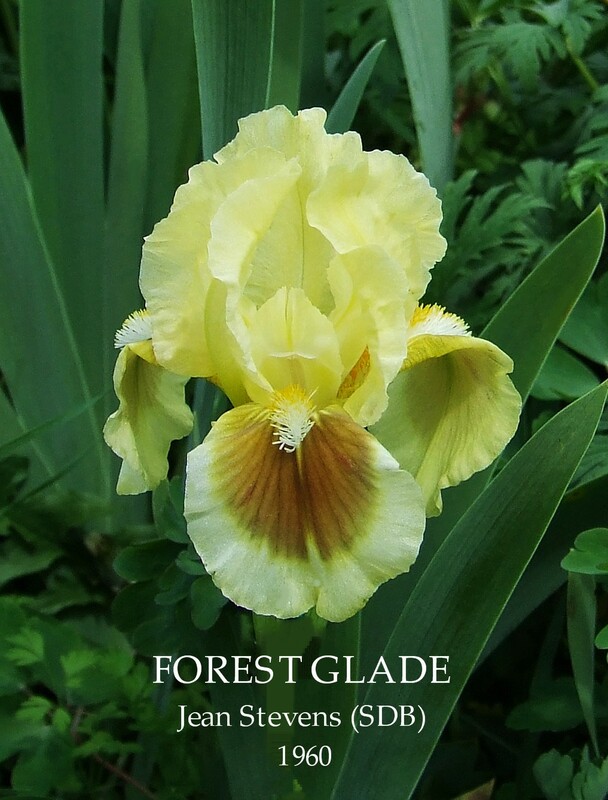 Among the first irises that Ron purchased over 40 years ago were the white and yellow Amoena 'Pinnacle', and 'Summit', and its good to see a New Zealander continue with this colour line with such a high class Iris. 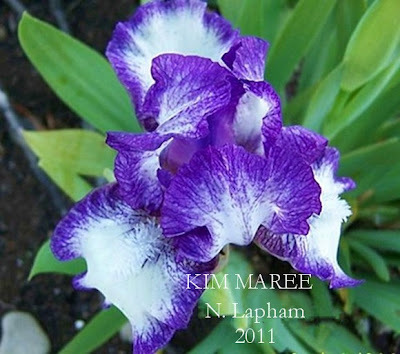 This iris can be purchased this 2012 season from 'Kiwi Iris Delights' (Link above New Zealand Iris Growers) Buy it! you'll love it. Another Brilliant New Zealand Bred Iris that Everyone gets to see!!!! Me, I'm just so glad to help. Digital Image scanned from a regular 6 x 4 photo taken by Ron Busch. 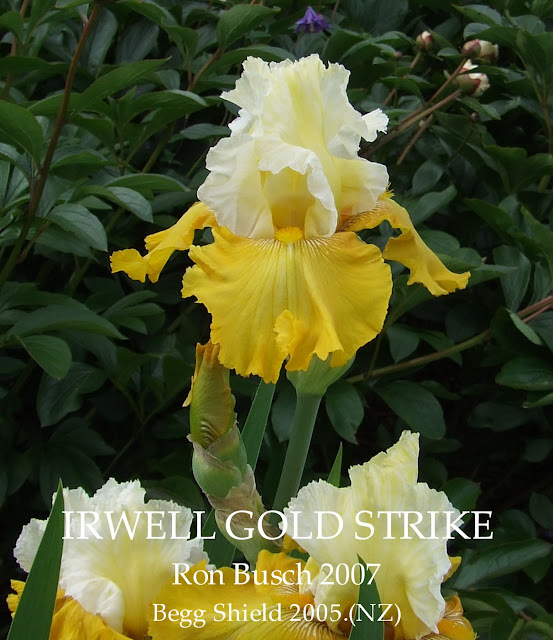 This iris is listed in the printed 2009 Iris Check List, it also has a listing on the American Iris Society on-line iris registration database, but as at today's date the Iris Encyclopedia wiki 'Irwell Gold Strike' does not even rate a mention and never has. When I go for looking for accurate iris information where do you think I go, anyone care to guess? As always clicking on the above image will take you to the larger, higher resolution version. Reproduction in whole or in part of this post, its opinions or its images without the expressed written permission of Terry Johnson is strictly prohibited. 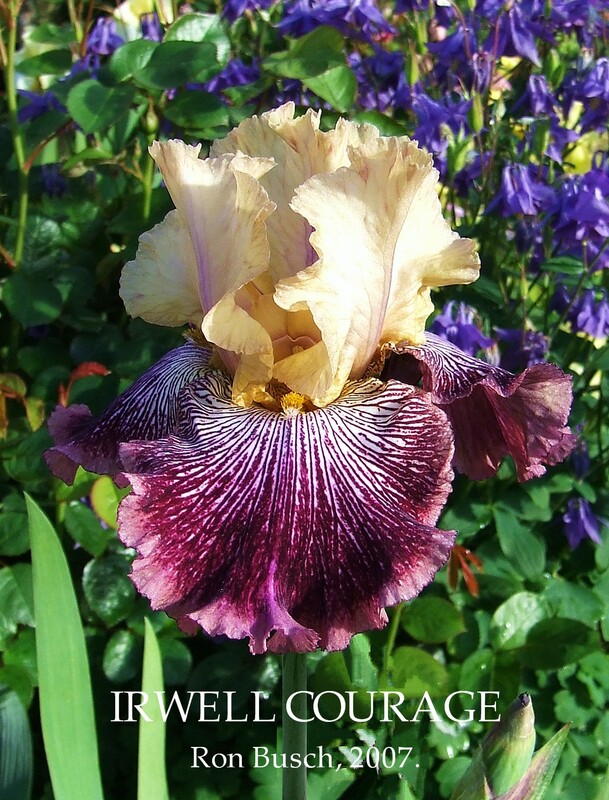 Photo credit and copyright Ron Busch, Terry Johnson and Heritage Irises ©. 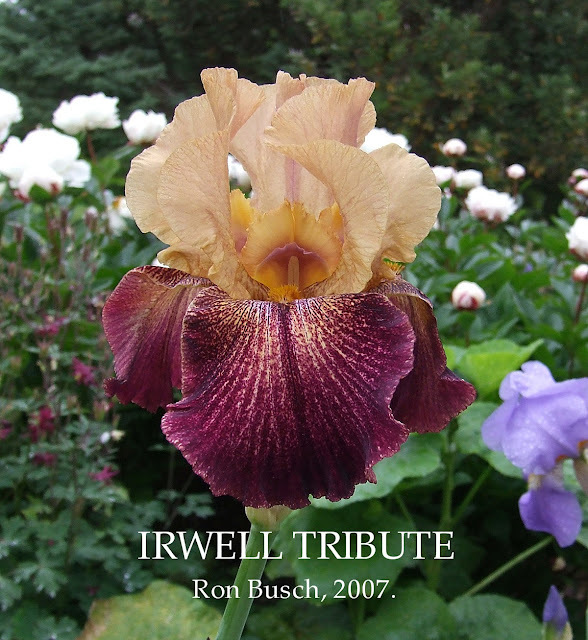 IRWELL TRIBUTE is a very fine blending of old gold standards with very smart burgandy plicata on creamy orange ground falls. Attractive sanded and dotted pattern much in the style of the great 'COLORTART' (Innerst 83). Magnificent form, substance and texture that is simply presented with only light waving, no lace or other clutter. In only one season it is already much admired in the garden for it's vigorous clean growth and the unusual color pattern. Registered as parentage unknown but I have filled in the parentage from Ron's breeding records for your information. BEAUMONDE (Lorna Hodges, R. 1985) Sdlg. TG 83-43. TB, 36" (91 cm), M. S. greyed blue violet; F. white ground heavily lined greyed blue violet; bright orange beard. Smoke Rings X (Cabaret Royale x Porta Villa). Tempo Two 1986/87. 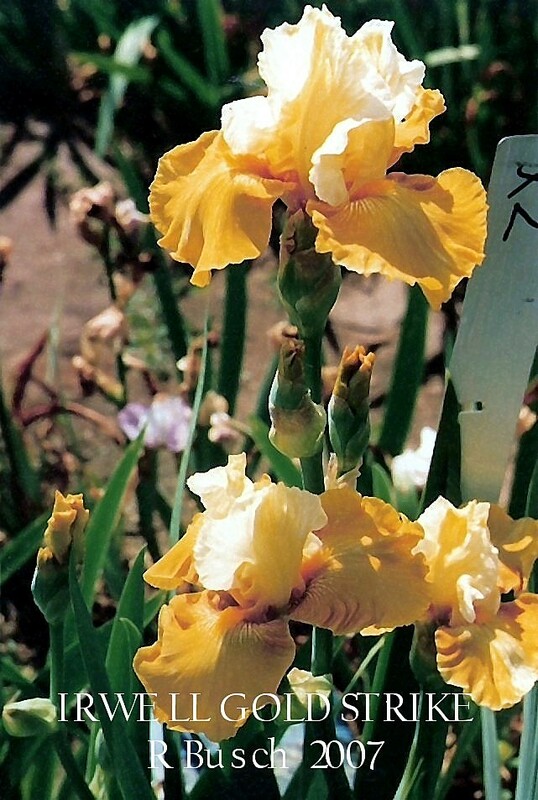 H.C. 1983, Merton Calvert Award 84, A.M.1985, Iris Society of Australia. Now here's the rub. I did a search on the internet for 'Beaumonde' some time ago before I purchased this iris and found a limited amount of accurate information and I also viewed a page on the much vaunted by others for its accuracy the "Iris Encyclopedia". I did at the time as this site suggests email Bob Pries (he's the ringmaster for the Iris Encyclopedia) about the obvious problem, as usual I did not receive a reply but for me thats not really a surprise. For a considerable length of time (A good part of this year that I have noted) this is how the page has displayed on the wiki. Really ?.................Tell me something, has the definition of the colour 'Greyed Blue Violet' drifted so far in twenty seven years that it has now become 'Vivid Reddish Orange'?? The wiki image is so far off the written registered colour description that just about anyone could have looked at the photo and said, "I don't think so." Just how many more pages like this are there on this site?? It's no good telling me this is a one off (I can guarantee this is not) or that this is just my expression of a dissenting opinion regarding the wiki, I look at this situation like this, the addition of information to the official registration data should be at least as accurate as the original data that was submitted by the hybridiser when he or she filled in the original registration form, the attaching of additional information needs to be vigorously reviewed before displaying on the web and if you don't have the resource to do this, don't start the journey. The objective of a checklist is most of all accuracy that can be relied on, what it is not is a free-for-all that is justified by a so called 'definition drift'. Hope may not be warranted at this point!!! 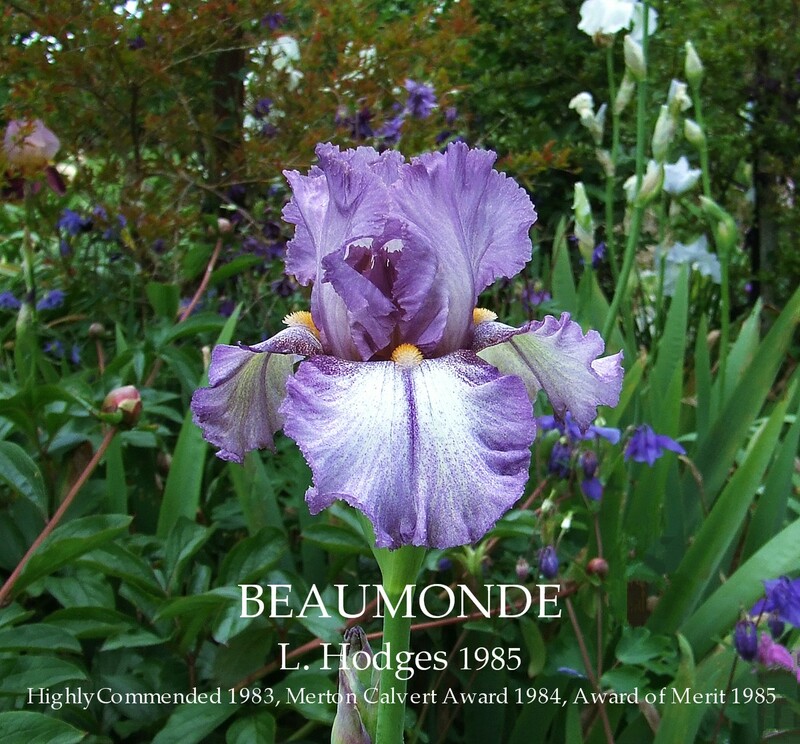 Currently Daves Garden, when it comes to accuracy regarding the 'Tall Bearded Iris 'Beaumonde'' beats this wiki thing hands down and that site is without a photo!! 'Aurora Lights' a great looking plicata that you see a lot growing in the more established gardens in the Wairarapa. Key point in identification is the purple base foliage inherited from the pod parent. Nice clean foliage and robust growth. This plant has often been mislabelled as 'Harlequin' which it does not even remotely look like but the most telling fact that eliminates it as 'Harlequin' is that it does not have the PBF trait referred to above. This photo was taken last year in a country garden I visited.